The past few weeks have been far more interesting for the Spaza scene in Cape Town. 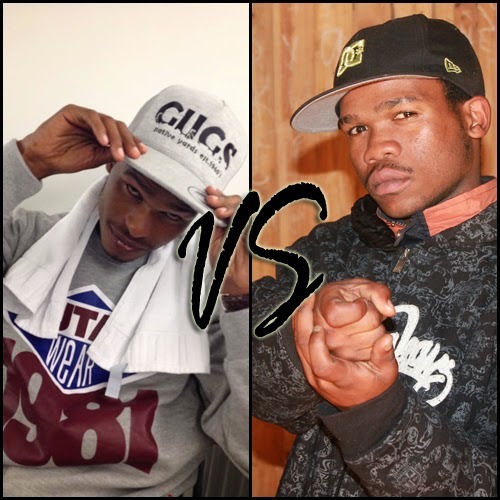 The Philippi based MC Invisible Virus released a diss track titled "DS Hoe" aimed at Buntu Jobela. The song made it to everyone's play list and built some kind of pressure for Buntu's camp to respond. Surprisingly, Dla from Driemanskap was also invited on the response record or invited himself who knows, and came through with his verse. Everyone had something to say, as comments were flying. Vegita, who is another MC from Phillippi and an ex member of M4M Crew that consist of DSO's Buntu Jobela and Rheebongs not leaving out Pincode announced that he would be also joining in on the beef releasing his own diss record. That sparked even more interest and we were all wondering who he will be dissing. The Big Weazy produced record dropped and Vegita was dissing Both DSO and Dla. It was fun, I loved all the records and I was ready to move on from all of it. Few days ago, I saw Dla's status saying he will be releasing a diss record aimed at Vegita. Like everyone else I was surprised and Dla seemed sure about his decision as he also went on to comment on Vegita's status telling him to expect the diss record from him soon. Earlier today, Dla posted a status letting people know that he hasn't forgotten about Vegita and will be dropping the diss record soon. Like everyone else I'm patiently waiting for Dla's diss record to the 100 Bars rapper "Vegita". Big question is, "When will this beef end?" Take it from where it all started, download all the diss records and we will share the new one from Dla once it is available.